Gardman Marie Curie Premium Wild Bird Seed Blend 1.8kg Bag gives a unique opportunity to support a vital charity and the welfare of wild birds both. Premium blend feed with oil rich, high energy sunflower hearts, black sunflower and suet treats. 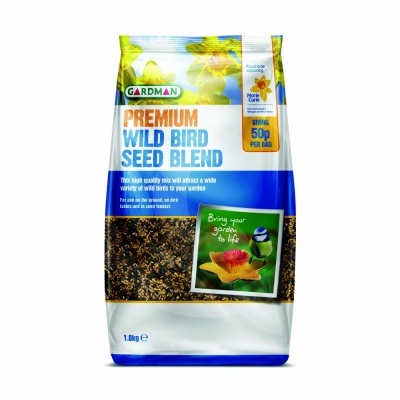 High quality mix will attract a wide range of wild birds to your garden. Suitable for use in seed feeders, on bird tables and ground feeding. 50 pence from the sale of every bag goes to the Marie Curie Cancer charity, which is a worthy cause.